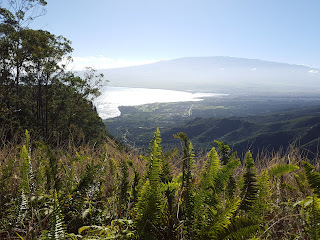 Every hike I've taken in Maui has been different and wonderful. 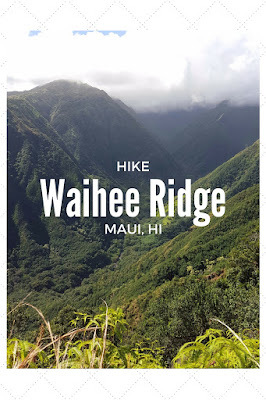 What I can't believe is that it's taken me 2+ years in Maui to hike Waihee Ridge. 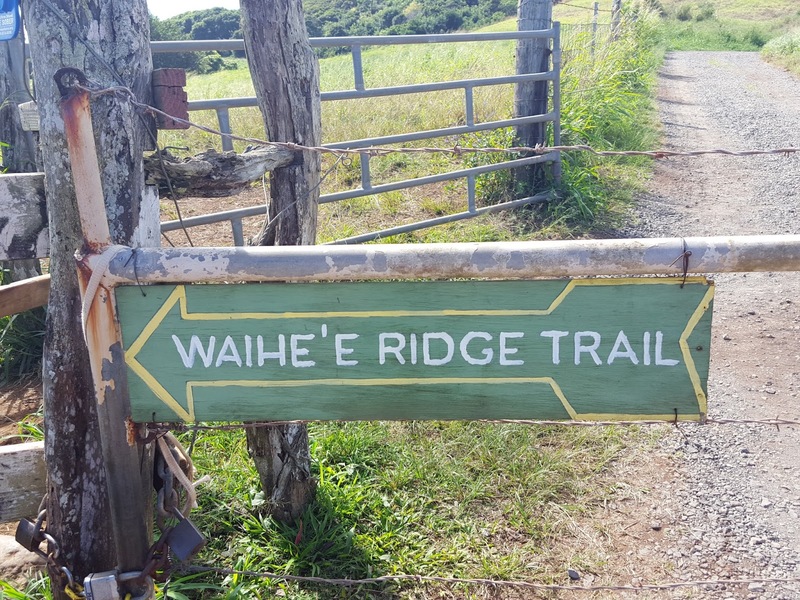 Waihee Ridge is a part of the Na Ala Hele trail system. There's a designated trailhead and the trail is easy to follow. Follow uphill, that is. To get to the ridge, you need to climb up. Legs burning, climb up. If it's rainy, the trail will be slippery and treacherous. You'll also want to start early - not because you like getting out of bed, but because the views are better in the morning before the clouds come in....although walking in the clouds is an experience of its own. 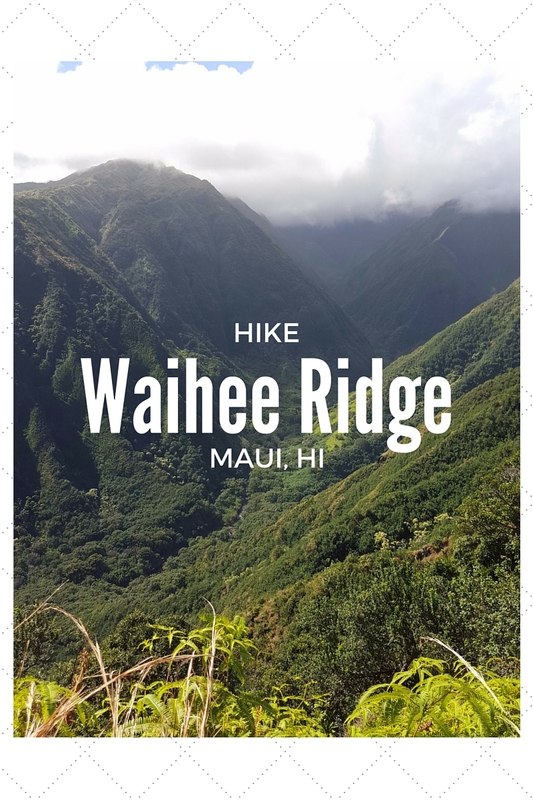 If you hike all the way to the top, the hike is about 5 miles round trip. If you don't want to go all the way, hike as far as the 1.5 mile marker. 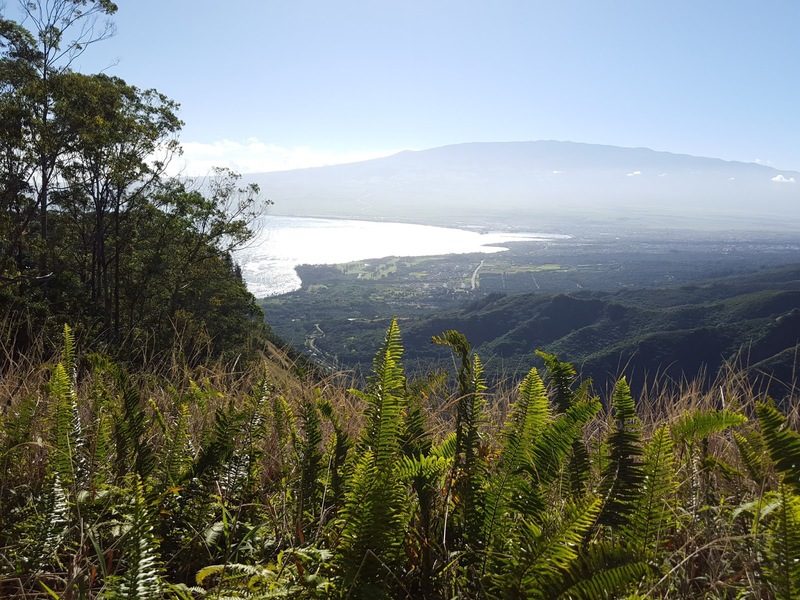 You'll have beautiful views of the ocean, the green mountains, and maybe even a waterfall or two. 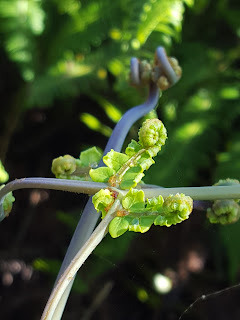 We enjoyed some wildflowers and baby ferns covered with dew on our hike as well. 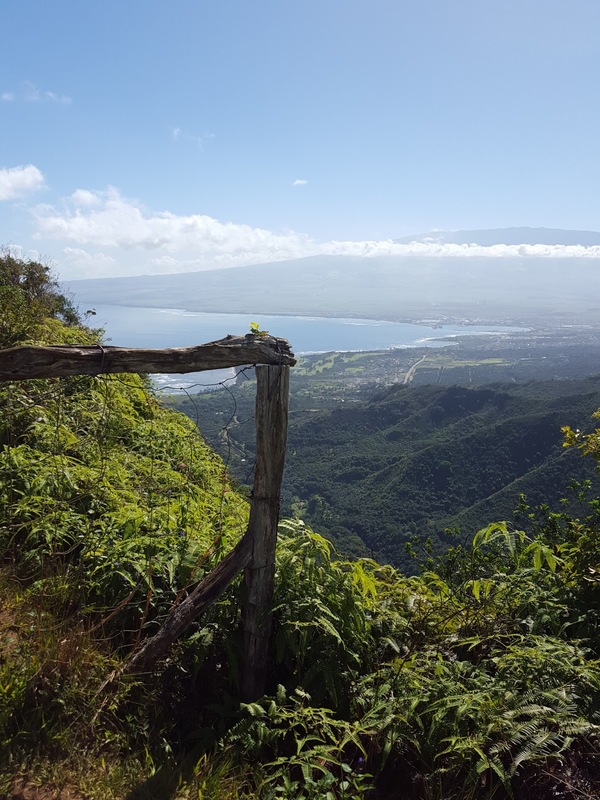 It's a hike that showcases so much of the scenery that Maui has to offer. Drive through Wailuku and then Waiehu. 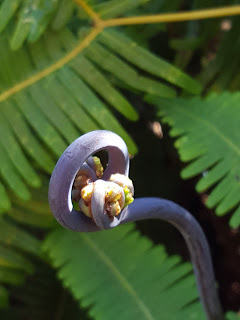 You'll be on Kahekili Highway (340). 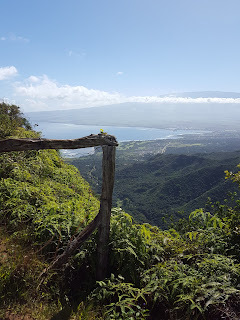 When you see the gate for Mendes Ranch on the right hand side (ocean / makai) of the road, you know you're almost there. 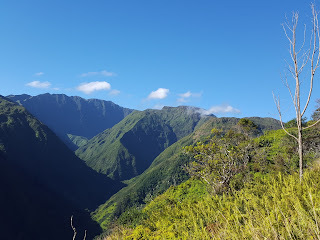 The trailhead and parking is on the left hand side (moutain / mauka) - you'll see a sign for a Boy Scout Camp. You'll park, then walk through a gate marked with the trail sign. There's a steep cement road for the very first part of the trail and then it becomes dirt. Mile marker signs are clearly marked throughout the trail. Bring your hiking shoes and water. 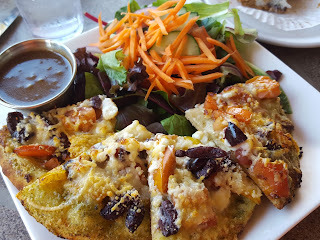 After your hike, I'd recommend stopping at the Wailuku Coffee Company for coffee and a pastry or an early lunch. Their food is ono! Do you have a favorite Maui hike?